EDINBURG — With three wins and three losses through six games, UTRGV women’s basketball has been up and down to start the season. Just like their season, the Vaqueros played an up and down game Friday night against Prairie View A&M. 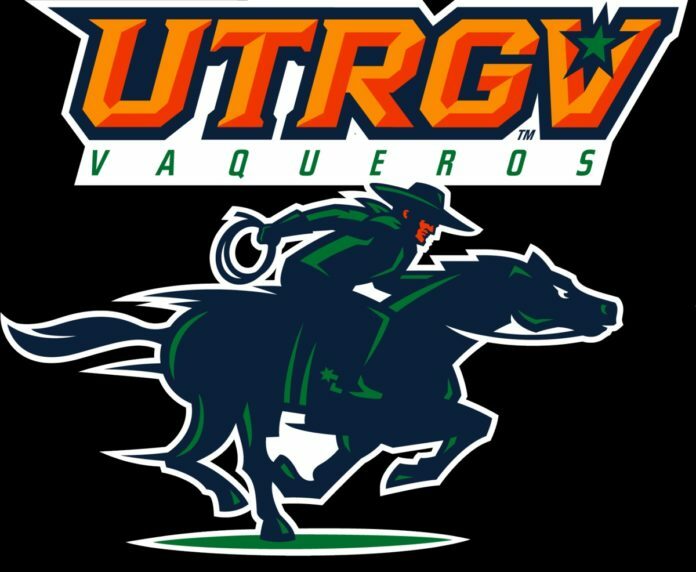 UTRGV was able to put woeful first-half shooting and only 16 points through two quarters behind them to come from behind for a 57-50 win at the UTRGV Fieldhouse. UTRGV only made 4-of-25 shots (16 percent) from the field in the first half, even with the 8-2 lead they built in the early moments. The wheels nearly fell off after UTRGV went up. Prairie View used a 7-0 run to take the lead and went on to make 17 of 32 shots in the first half to build an 18-point advantage. Jordyn Penniman was hitting deep 3-pointers to take the wind out of UTRGV’s proverbial sails. She made four threes in the game. The Vaqueros looked down and out after 20 minutes in their first of two games in the UTRGV Fall Classic. The Panthers took a 34-16 lead before the script flipped. The Vaqueros play the University of Louisiana at 7 p.m. today in the second game of the classic. Whatever Nimz, the first-year assistant who came to the Valley with coach Lord from DII Pittsburg State, said must have struck a chord. Shooting came to life for the Vaqueros and their defense forced six turnovers in the third quarter. Senior Idil Türk hit two of her three 3-pointers in the third quarter. The Vaqueros outscored the Panthers 24-8 in the quarter. Türk, the notorious smooth shooter, has been heating up as the season progresses. In her first three games, she was 4 for 16 from beyond the arc. In the four games since then, the Istanbul native has made 13 of 27 threes (48 percentage). Three-point shooting became a bit contagious for the Vaqueros. Krisynthia Sampson made a trey and Jameka Dowell nailed a buzzer-beater to end the third and get the bench to their feet. Megan Johnson led UTRGV with eight rebounds, four on offense and four on defense. Makaela Mosley grabbed seven, while Madison Northcutt hauled in seven. The Vaqueros out rebounded Prairie View, 42-35. Johnson also had 10 points. All of the rebounding and 16 points in the paint came against dual 6-foot-3 athletes: Prairie View’s Artavia Ford and Jhyrah Cobb. “We know we’re undersized; we go into every game knowing we’re undersized and we’re not scared of that,” Johnson said. “We aren’t scared of contact. We’re never going to take a backseat to anybody. After Nichelle Hyman tied the game and a Dowell free throw gave the Vaqueros a lead the home side tightened up on defense. A shot clock violation with less than two minutes to play sealed the win. Friday’s win was the first time UTRGV strung together consecutive wins this season after beating St. Thomas on Sunday.